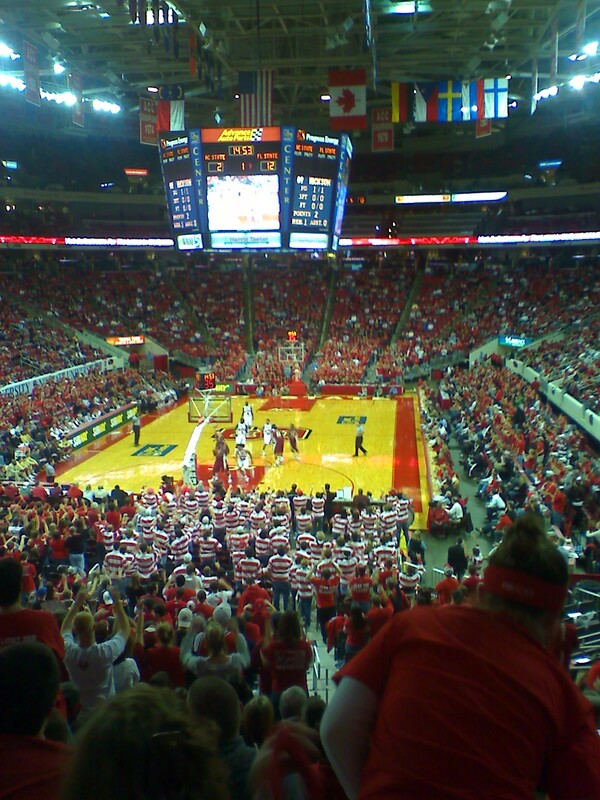 I was just about to leave work and head off to Bible study last night when Anthony called me and asked if I wanted to go see a Wolfpack game with him. How could I say no to that? 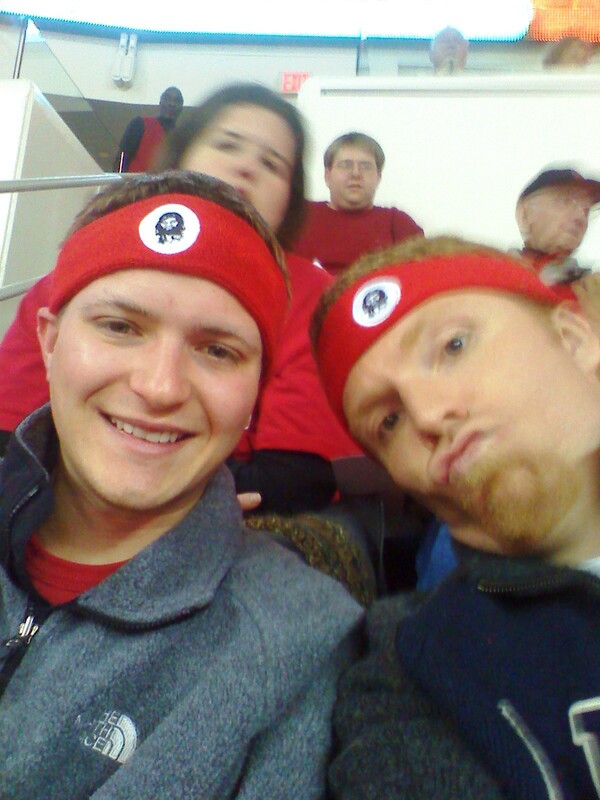 It was a good time with my brother, although the game was more of a clinic and my hardees ‘value meal’ at the RBC Center was $15. 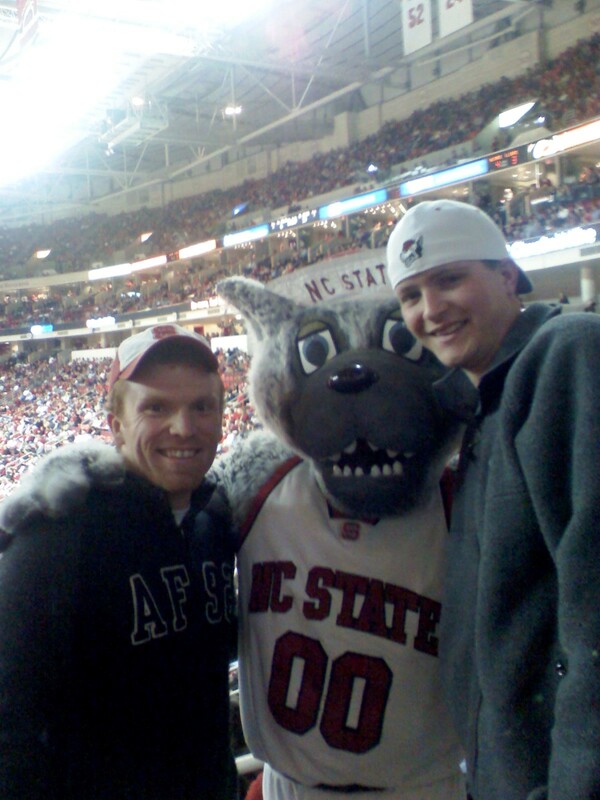 Posted in life, memories and tagged basketball, fun, nc state, wolfpack. basketball…. I’m in a state where no one likes basketball… when football season is over, they just take off their pads and sit down for 6 months until spring training. It’s really lame.